Taylor Swift Music Video "Bad Blood" Will Star Cara Delevingne, But Who Will The Supermodel BFF Play? Swifty, girl, what kind of tricks do you have up your sleeve this time? Apparently Taylor Swift has recruited one of her many famous BFFs Cara DeLevingne to star in music video for "Bad Blood." the model was seen at a shoot for the video in Los Angeles on Sunday. 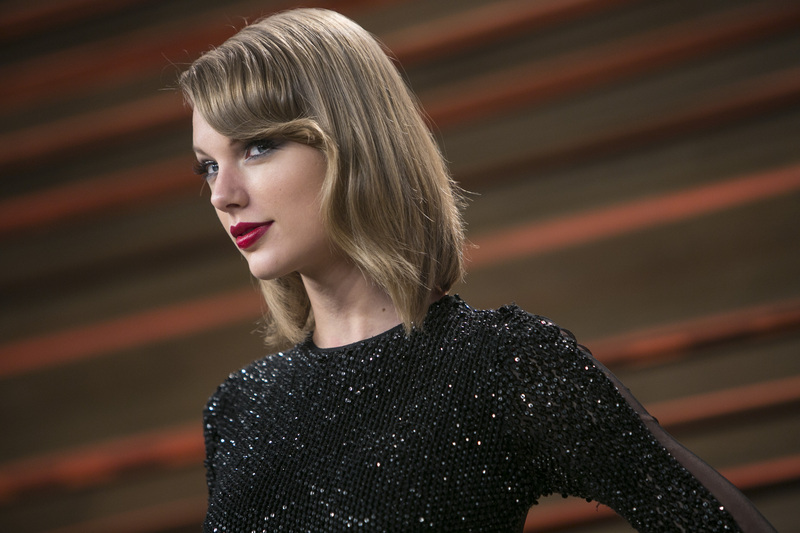 Swift told Rolling Stone back in September when no one had yet heard the track that "Bad Blood" about a Notorious Frenemy, who they speculated was Katy Perry using context clues: on the same day the Rolling Stone interview dropped, Katy Perry tweeted "Watch out for Regina George in Wolf's clothing." We know she's hard at work getting her acting career off the ground, so who will Cara play in Swift's new video? A quick lil' fremeny feud update between Perry and Swift: in the Rolling Stone article, though she didn't name names, Swift said the rift was with a female artist who royally screwed her, business-wise, trying to hire her dancers out from under her for a show. That's pretty mean, in short. Obviously Swift has no shame or qualms about writing her heartbreaks into catchy-as-hell songs, so we're happy she's branching out now to what's making her just down-right pissed. So, if we're #blessed, HOPEFULLY Cara Delevingne will play some kind of a doppelganger to the enemy turned frenemy that Swift sings about in "Bad Blood," which is lyrically fairly simple but drives the point all the way home: "Did you think we'd be fine? Still got scars on my back from your knife... you made a really deep cut, and baby, now we've got bad blood." Kind of an obvious knife metaphor, but damn, Tay Tay is mad. Not only is Cara Delivgine starring, but also Zendaya and Paramore singer Hayley Williams, who were all "spotted on a Los Angeles set Sunday morning, reportedly to shoot the "Bad Blood" video. Though they covered up their costumes in white robes, all the women rocked futuristic updos and Swift's signature cat-eye makeup." My first guess that is Cara's gonna play the bad blood, the evil frenemy, the adversary to end them all. It would fun for the two best friends to play best... haters? I don't know if the video will have any specific references to Katy Perry, but probably not, since Swift isn't that petty (it would be like a music video version of a subtweet). BUT obviously, the song is called "Bad Blood," so there's going to have to be some hostile tension. And Cara would be the perfect girl to play the villain to Swift's hero. Ready for a future face-off?! (As for Zendaya and Hayley Williams, who were dressed in similar outfits, maybe they're part of Cara's evil squad). Whoever it is that Delevingne ends up as in "Bad Blood," I do hope she plays a baddie, because she definitely is a badass.